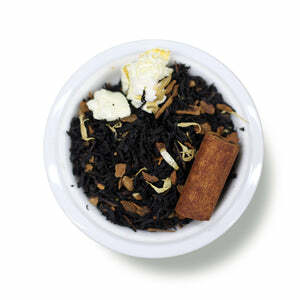 Ingredients: Black tea, cinnamon, dehydrated maple syrup, cinnamon, natural flavoring, popcorn, white cornflower blossoms. Mug (8oz water): 1.5 level tsp • 205º • Steep for 4 min. 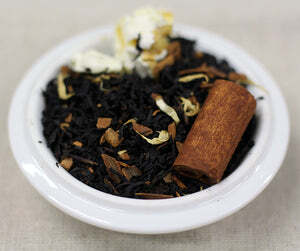 Teapot (8oz water): 2 level tsp • 205º • Steep for 3 min. This is the best tea I've ever had! It's really like having a cinnamon bun in your mug, but without the syrupy afterfeel in your mouth. I will order this again!